Schedule your free probate consultation today. Helping families after the loss of a loved one. Our probate team, led by attorney Ryan Hodges, can help you protect your assets and counsel you as to the best way to handle the transfer of assets after a loved one’s passing. You’ve got probate questions, call us today at (480) 467-4365 for answers. Hiring an attorney that is dedicated to your case and committed to guiding you though this process will be invaluable. At an already trying time, it is difficult to find the energy to deal with the legal ramifications and processes on your own. An attorney can help alleviate some of the added stress and burden of dealing with the probate of an estate, and ensure the assets are properly distributed. If you or a loved one are facing probate, or have questions about how your estate would be dealt with in the probate process, contact our team today to schedule your no obligation, free phone consultation with an attorney. To see how we can help with your injury or accident case, call us today at (480) 467-4365. "We had to do probate on my fathers estate. Ryan made it go very smooth and it was great. If I need an attorney in the future, I will be giving them a call! Highly recommended." "Ryan Hodges of Jackson White Attorneys made a long drive to meet with us as we were grieving the recent loss of our 41-year-old son. He guided us through every step of the probate process." "Ryan Hodges is amazing! My mom is elderly and needed help sorting out the details of probate in AZ. Ryan was able to navigate through the paperwork to help my mom get the estate settled." Ryan is a senior associate JacksonWhite, with over 10 years of experience in the area of probate law. Ryan is dedicated to the service of each client and is diligent in all of his cases. He has facilitated hundreds of probate matters and compassionately guides each client through these potentially stressful situations. 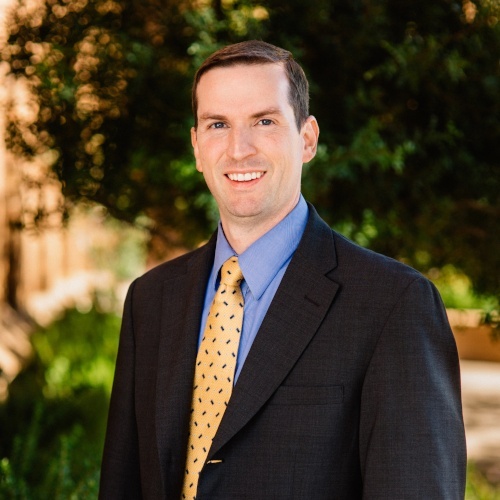 Ryan’s understanding of the law, experience in the field and commitment to the services to his clients set him apart as one of the top probate attorneys in Arizona.